Yay! Happy Friday everyone and for those in the US, happy holiday weekend. This may have been one of the fastest cards I've ever put together. 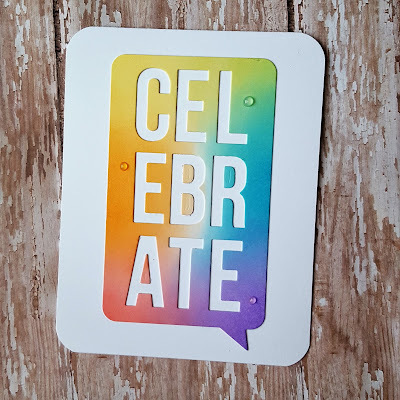 I had a piece of cardstock that I had practiced blending during my Rainbow Maker class and never used. The speech bubble die from MFT is perfect for a quick card. I adhered the die cut to a top folding white card and then rounded the corners and added a few clear enamel dots. 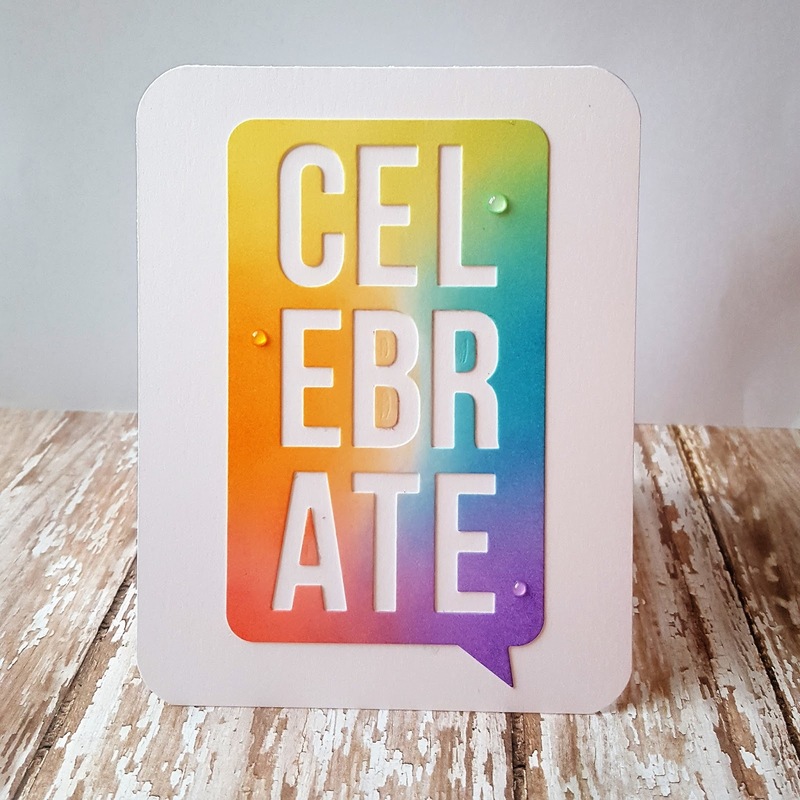 sweet card, luv the rainbow of color! I am so glad you played along with us at simon says stamp wednesday challenge! Love the design and colors of your speech bubble card! Thanks for sharing with us at Cards in Envy.